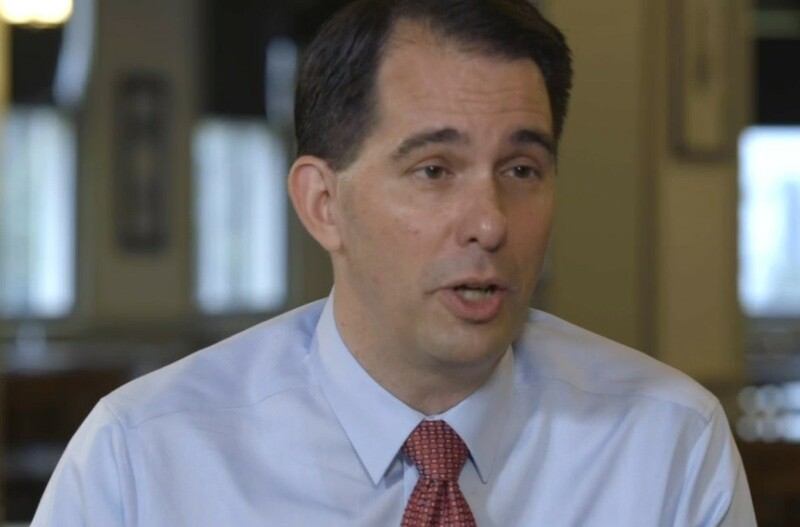 GOP presidential candidate Scott Walker said in an interview with CNBC’s John Harwood that his comments to MSNBC’s Kacie Hunt had been misinterpreted, and he had not indicated support for an end to birthright citizenship. Harwood pressed Walker on that statement, given his comments on Monday. Walker noted that he had given a “three-and-a-half press gaggle” and had questions flying everywhere. “I don’t think that any of those issues can be addressed until you actually secure the borders and enforce the laws,” he repeated. “So did people misunderstand, are you actually not in favor of birthright citizenship?” asked Harwood. “I’m not taking a position on it one way or the other,” he said.